One of the year's most eagerly anticipated films seems also to be one of its weirdest. 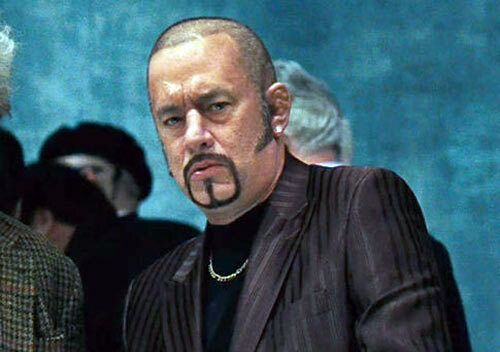 Mr Hanks, what drew you to the concept of Cloud Atlas? Was it a book you were already familiar with or were you just impressed by what Tom Tykwer and the Wachowskis had scripted? There's a huge amount of the truth of human nature in Cloud Atlas. But more than anything else, I would say that it has a scope bigger than anything I've ever seen. So I was looking forward to being a part of it. I had attempted to read the novel early on. But then I didn't have enough time so I had to put it down. Then when the screenplay came my way again, I went over it four or five times. The screenplay made everything so much simpler that I started reading the book again. It read like Gone With The Wind. So smooth. It was a massive hot page turner that I've come across. Everyone I spoke to about this story said, "Oh my God! Six stories." As if rules have never been broken before. Andy, Lana and Tom have broken some rules in every one of their movies. They are known to make the impossible possible. 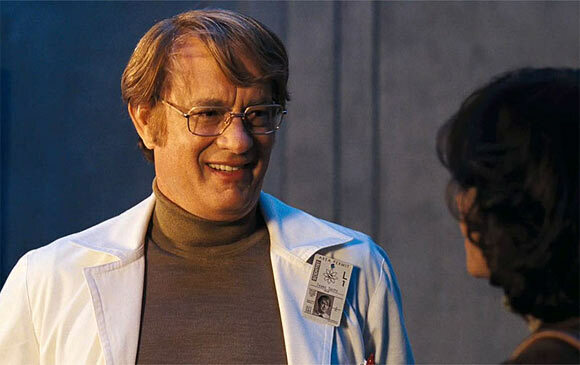 Cloud Atlas is as risky as Inception. But the directors had immense faith in the film and so did I. The screenplay just made it simpler, while doing justice to David Mitchell's novel. What was it like working with a crew of directors for the same project? Did all three share one vision, or is the true charm of Cloud Atlas the fact that the vision itself changes as the film goes on? It was truly exciting. The pressure that Lana, Andy and Tom put on themselves to see this project through was equalled by the faith they had in us as actors. It really was extraordinary the way they allowed us to follow our instincts. Andy, Lana and Tom have broken some rules in every one of their movies. They are fabulous. This shoot went by in the wink of an eye because every day we were embarking on an exciting new sequence and I was part of a great team -- a genuinely unified ensemble. And it's not just a matter of style, it's a matter of philosophy what these guys are doing. A lot of great directors can come in and you see the pre-vis, the storyboards, the animatics, and you get it, you can see where they're going. But it's like some buildings are doors and windows and floors and elevators and stairwells, and other building are great architecture. I think this movie has magnificent, stellar architecture. Which of your highly talented co-stars would you say is the one to watch in this ensemble epic? I had a great time working with everyone. Halle Berry is amazing in the movie, and she is just such a beautiful person and outstanding actor. Apart from that, I feel it is totally worth watching to see Hugh Grant walking around as a cannibal, if nothing else! Saving Mr Banks is a wonderful experience. It's like a trip to Disneyland itself. It's the third happiest place on the planet, behind Disneyland and Disneyworld. Apart from Woody, I feel the character of Buzz Lightyear is really amusing. Were you disappointed by the lukewarm response to Larry Crowne? Are you looking at taking on another directorial project anytime soon? Success comes with patience, hard work and right decisions. I'm trying new things. Appreciating there is what I am still to achieve. As a human being, challenges motivate me. Being here in Hollywood for so long, I like doing and trying new things. With every project I'm evolving every day. I'm looking forward to another captivating script that will entice me to direct. The early reviews indicate that the new film could polarise audiences, with critics either fawning over it or proving decidedly unimpressed. 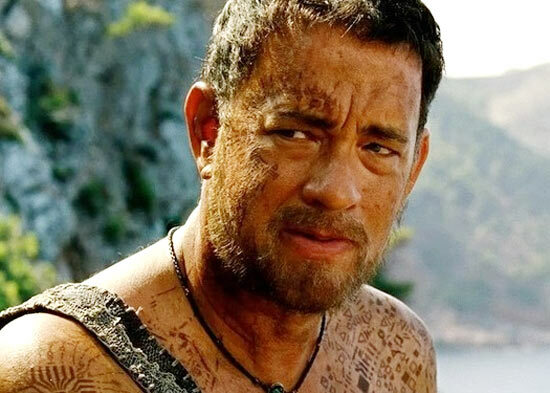 What would Tom Hanks say to the average theatergoer to recommend Cloud Atlas? With six stories, Cloud Atlas is like a hug that gets tighter and tighter. Cloud Atlas is a beautiful blend of literature and cinematic power. It explores themes like karma and reincarnation that humankind as a whole can connect with. The story unfolds itself as you watch it. We got a 10-minute standing ovation at Toronto Film Festival and couldn't have asked for a better opening. The fact that they could transform a book which the writer thought was unfilmable into this huge magnificent project is applaudable. Jaspal Bhatti's Top 10 WITTIEST quips!